Want to learn to sail? not sure where to start? Want to learn and join the club - how about a course with membership included ? BCYC offers adults a five day RYA Level 1 and 2 course over two weekends in April / May every year (for non members - price includes one year's membership). this is a great way to join the club and meet like minded new members. From June onwards we run two day weekend courses every month through to October with three day family-focussed courses during the summer holidays. These courses are available to non members with a discounted price for club members. Developing sailing techniques to be able to sail independently. Ideal for anyone returning to sailing, wanting to build confidence and competence, or participants with Level 1 wanting to progress to sailing without an instructor on board. Once members have achieved RYA level 2 or have the equivalent experience assessed by the Principal or chief instructor, they can hire from BCYC's fleet of club-owned boats. Over the bank holiday weekend and the following weekend, our highly popular five day sailing course goes from beginner to being able to hire BCYC boats, developing sailing techniques to be able to sail independently. Held on the first Saturday of each month, BCYC improvers meet for free coaching and advice from experienced BCYC members, RYA coaches and instructors. 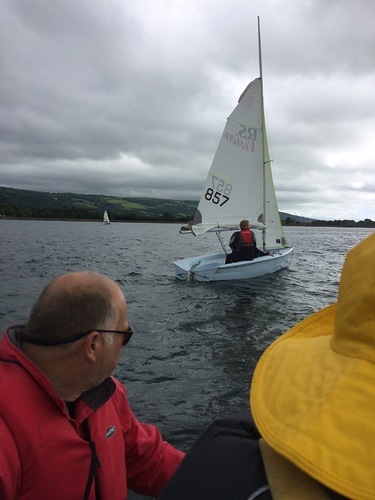 These ad hoc sessions vary in size and format, with the focus on all aspects of improving your sailing, with the emphasis on having fun and being social on and off the water. BCYC training boats can be hired at a reduced cost for these sessions. and it is proving immensely popular with new members to develop their sailing in the company of others.